“I felt like a martian,” she says, examining her face in a mirror as she recalls the jarring changes in her appearance since beginning treatment. “My skin was definitely dry, and I had no hair, so I needed to draw on eyebrows, she adds. While her hair has since grown back, Chiara no longer dyes it. This morning, she hopes to find products that compliment her now gray mane. Another goal: to learn about the most flattering colors for her skin tone. “I have been focusing on my health, not on what’s the best color for me,” she says. 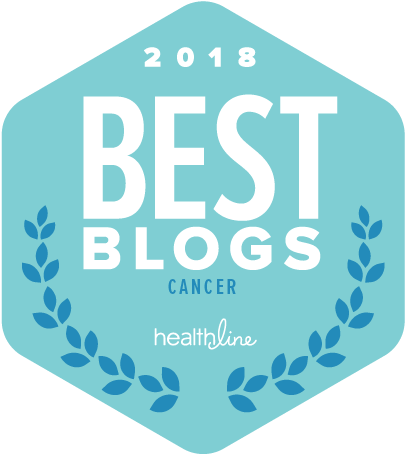 The sentiment can be felt throughout the room, in which this small group, like millions of men and women, has prioritized health above all else in the face of their cancer diagnosis. But for this few, Sephora’s new class is a welcome distraction that’s not only inspiring confidence, but providing a safe, supportive space where they can relate to one another. With the introduction of Brave Beauty in the Face of Cancer, Sephora launches its first-ever class that focuses on solutions for those whose skin and hair have been affected by their cancer diagnosis. It is part of the retailer’s Classes for Confidence program, which provides complimentary workshops geared toward teaching basic makeup tips to build confidence in people who are in the midst of major life transitions. Nearly two years later, the program kicked off in 2016 with a Workforce Re-Entry class in which instructors taught a natural, professional makeup look to those in the process of returning to work. Meanwhile, behind the scenes Sephora was creating a class for people experiencing visible effects of their cancer treatment. “There was a lot of legwork that needed to be done, because we wanted it to be done right,” says Conrad, who reveals the curriculum is the result of a series of focus groups Sephora conducted to identify their audience’s most pressing needs. “The groups included employees who are cancer survivors themselves and could share from their journey. Our goal was to just listen,” she says. Because Sephora wants to ensure that each attendees needs are fully met, they’re keeping class size super-small. No more than 12 people will be able to sign up for a session, and for every three-four participants in attendance there will be a coach present to provide additional hands-on help. Sephora is also open to attendees bringing their own support system, so they’re allowing participants’ family and friends to sign up as well using the same process. Leading each class is an appointed instructor, who’s undergone rigorous training. Over 90-minutes, that instructor will provide insight on everything from skin care to makeup techniques for complexion, brow and eye makeup. It’s an experience facilitators like Michelle, a cancer survivor herself, are elated to be a part of. “I shut down and never spoke about the fact that I had cancer. So I think this program was an eye opener that I can be an inspiration for others. I am so glad I am a part of it,” she says. During demonstrations, coaches will use Sephora’s shade matching tool Color IQ to find the best base for each participant’s face. The handy, hand-held device about the size of a smart phone eliminates the need to swatch already sensitive skin. Another useful product on-site, waterproof eyeliner, which the instructors use to teach attendees how to add definition to their lash lines, but which is a necessary formula for the moving tutorial. Instructors aim to use products with fewer “chemicals of concern,” Conrad explains. But she stresses that should a participant have questions or concerns about what ingredients to apply — or avoid — they should reach out to their medical professional. Can’t make a class? Sephora has created yet another way to connect with their knowledgeable staff. Employees around the country will be wearing lavender Classes for Confidence pins (above) to identify themselves as a resource for those seeking tips.